So I went on a little herb farming bender after getting the precious. 4.5 stacks of herbs in less than a half hour….. So much fun. I get to the next node so fast that farming herbs is kinda fun again. Very little down time and lots of reward, I love it. So being the goal oriented person that I am I am in need of a new goal. 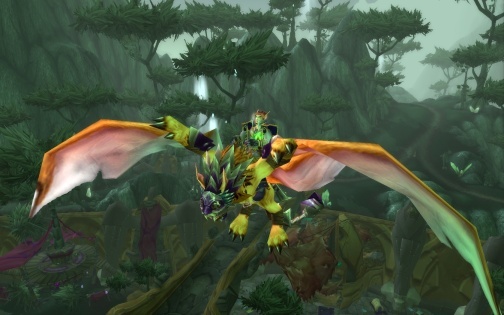 I have a new one I’m thinking of adding to my list from before: transfer my 62 Warrior from it’s home on a PvP realm where he was abandoned long ago to Velen and level cap him as a tank. I have a healer and a DPS and have always wanted a tank. Plus my guildies were again lamenting last night how they wished more people had tank alts. As it is our MT is a pally tank, and our two raid leaders have tank alts which they are required to use in order for us to have our two Kara teams each week. They only get to play their mains on the weekend ZA run or as subs on the other team. So I am one of the only officers without one. I’ve put so much time into my priest that I have become pretty good with him. I wonder how good of a tank I’d be. I’m decent with my lock but he has no where near the polish that I have when healing. I’ve been tossing around the idea of getting a second account and it would work out nicely to transfer the tank over there. A tank and a healer would make a good pair, as would a tank and a DPS which can AoE. ~ by Thuenderman on April 3, 2008.